TheSpartanPoker is India’s one of the best poker website. You can play online games and Earn real money. 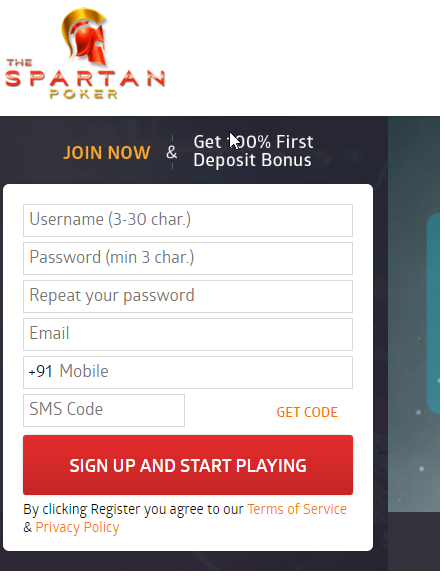 You Can Sign up on TheSpartanPoker and you will get Rs.100 as Signup bonus with latest Spartan Poker Offers and if You deposit Rs.100 or above for the First time you will get Rs.250 Cashback from PaisaWapas. 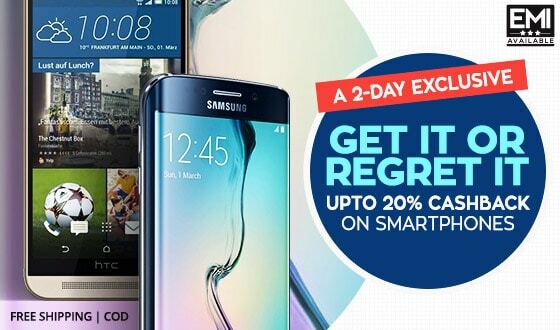 The cashback earned into PaisaWapas account can be redeemed into Paytm wallet/ Bank account. This means you will get instant cash benefit of Rs.150. Note: To Play Poker Games You must be at least18 years old. Step 1: Login/Sign up on PaisaWapas.com if you are new to PaisaWapas and search for “Spartan Poker”. Click on “Spartan Poker” in the search result or you can directly vising from here Spartan Poker Offers. Step 2: Click on the “Activate Cashback” button and then click on “I Understand”. You will be re-directed to “TheSpartanPoker” automatically. Step 3: On TheSpartanPoker website. Now Complete Sign up by entering Mobile Number & Email ID. Verify Your Mobile by clicking on GET OTP. Once the Signup is completed, you will Get Rs.100 as sign up chips. Go to Deposit Now and Add Rs.100 amount. On completing the money deposit you will get 210 chips in TheSpartanPoker account and Rs.250 cashback in PaisaWapas account Instantly. 2. Choose any table from the game options shown below in the screenshot. Lets Play & Win the game!! Also check out Which is the best Gaming Phone OnePlus 5 OR Infinix Zero5, Which One Should You Go For. To Know More About Poker You Can Check Poker Wikipedia Page, Texas holdem, hold ’em, is one of the most played poker game through the world.